A short while ago, I installed a pair of 1TB Intel 600p NVMe SSD devices. Performing a straight rsync backup of some 100 gigabyte of data managed to shutdown both of them: the throttling was so much that VMware ESXi lost the volumes on it and showed “Permanently inaccessible device”. I was quite surprised as the initial reviews did not mention any temperature problems, but apparently there are. Since then I’ve put a 120mm fan near to it which made the problems go away, but it still every now and then jumped to over 60 degrees Celsius. Before we will come to the benchmark results, we want to show something very special on OCinside.de and that is the heat distribution and temperature of the M.2 SSD with an infrared thermal imaging camera, which also supports image overlay and results in an interesting mixture of the infrared image and real image. 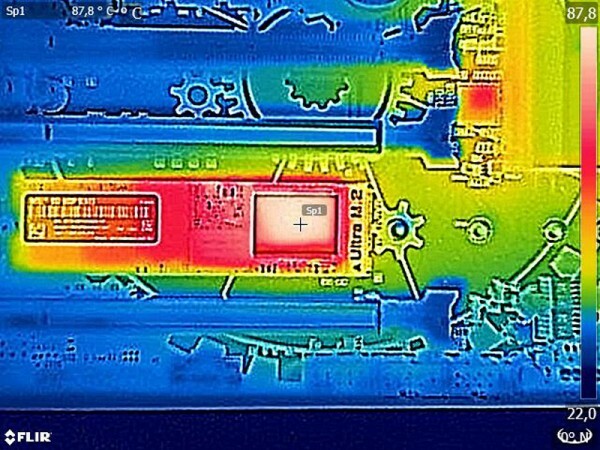 According to the internal temperature diode, there was a temperature of approx. 41°C in idle and up to 70°C under load. With an external temperature sensor and the thermal imaging camera, we’ve measures approx. 18 degrees Celsius more than the internal temperature diode outputs and achieve a maximum M.2 SSD temperature of approx. 87.8°C. a) adjust the power saving mode. b) perform an active SSD cooling by direct ventilation. c) apply commercially available silicone heat transfer pads to the top and bottom of the PCB. 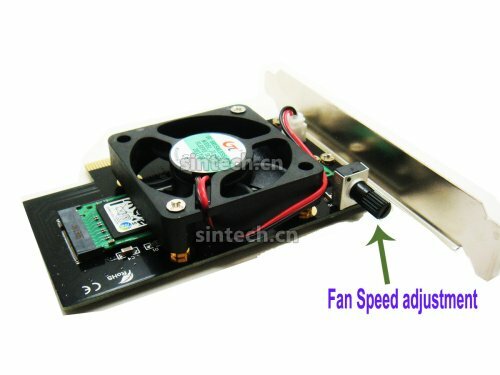 d) purchase a special heatsink for M.2 SSDs. e) buy a M.2 PCIe card with heatsink. Unlike for instance DropBox, Google Backup & Sync does not allow you do move the Google Drive location in a one-step way. You have to go through below ridiculous steps to move it around yourself. A comment on G+ indicated I should try Insync. Not free, but way more stable and more features. Insync adds Google Drive functionality to your Windows, Linux and mac OS desktop. Sync, backup, edit and share files easily with one or multiple accounts. Team Drives syncing for G Suite accounts now available! Try Insync free, no credit card needed. I expect few people to still have a functioning Apple LaserWriter Pro as – despite them bing very solid devices – having them last for almost 25 years is quite a feat.